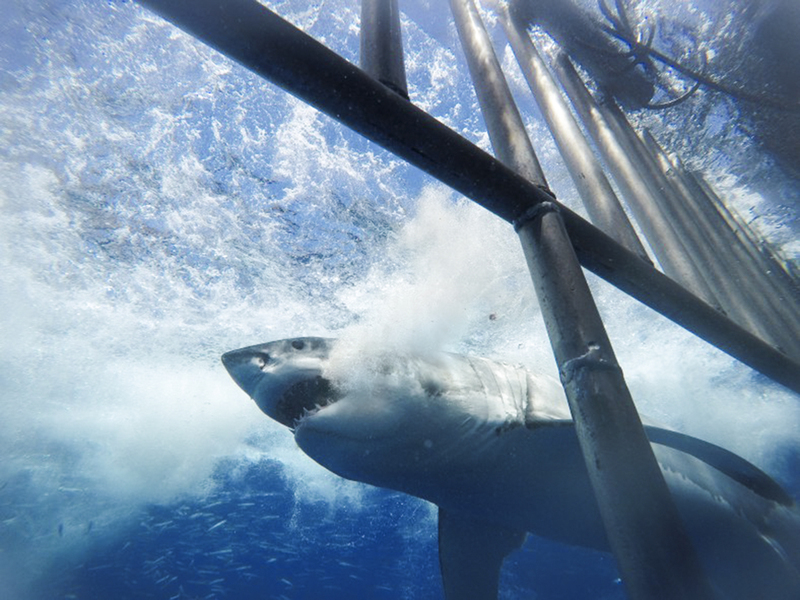 Today was the first day cage diving on this trip, and we got a lot of great white sharks! I saw at least 6 at a time. The wranglers were working like crazy, especially when 4 sharks were trying to get the bait at the same time! There was a lot of action, screams of “SHARK,” and fun. Then after we closed the cages at 6:00 pm we stared to identify the sharks that we got pictures of. Some of the ones we saw today were “Joker,” “Kenric,” “Ropey,” “Mike,” and “Legend” as well as some we have yet to identify. Then we ended our day with a Mexican Taco night. I so full and ready to go to sleep! 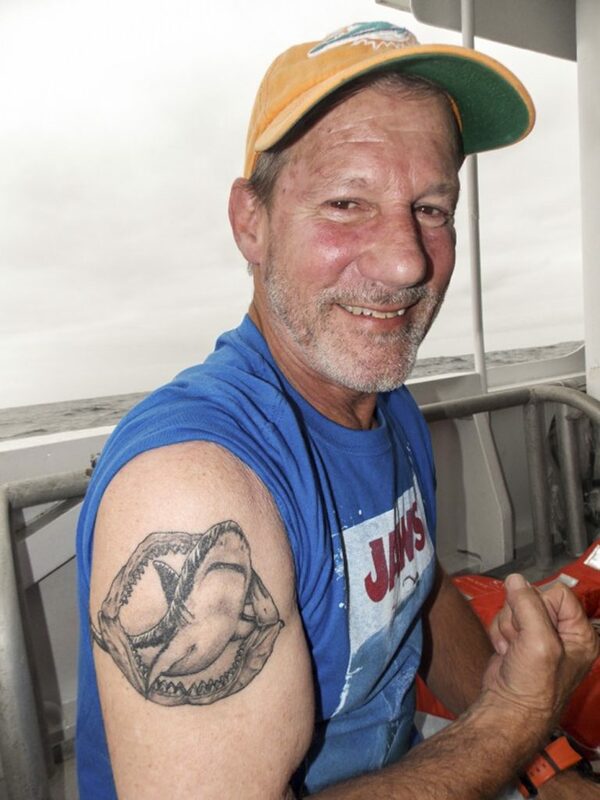 On a fun side note, Danny is one of the guests on this trip, and he has a very cool tattoo of a great white that I wanted to share with you. When I asked “when you get the tattoo?,” he told me he only got it a couple weeks ago, just for this trip! He had been dreaming of it for the past two years and decided it was the perfect time. What a trip!! Today we had our last day of diving in this extended trip (4 full days of cage diving at Guadalupe Island) and just like the other days, there was non-stop action all day long. We were setting the cages up as the sun was rising and this time as soon as we had a little bit of sunlight, we were able to see we had 2 sharks around the boat, and we hadn’t even started wrangling yet! We also had 2 curious turtles that came close to the boat and a group of 8 California sea lions that passed by. The sea stayed as calm as it can be all day long and we had over 10 sharks till the very last minute! Even once the cages and the anchor were up the sharks were still swimming around. 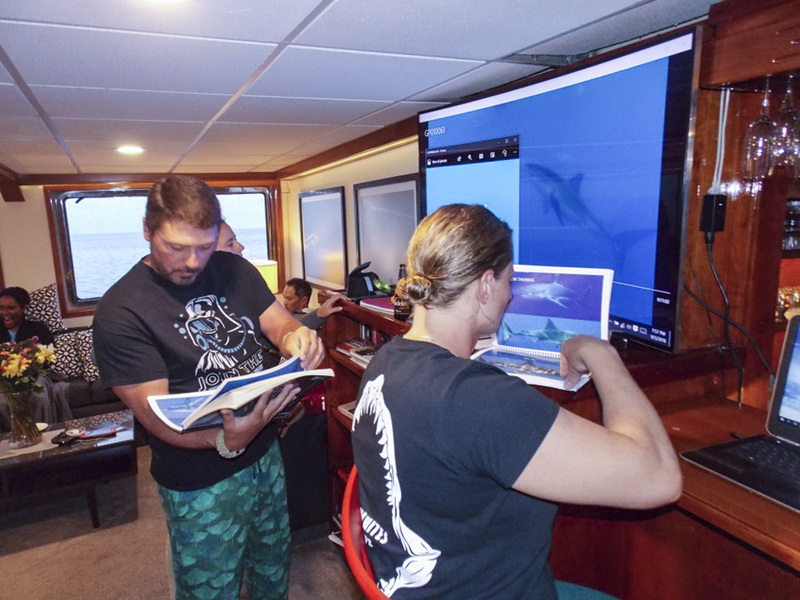 We identified several sharks this trip including “Joker,” “Brutus,” “Ropey,” “Andy,” “Rhett,” “Sad Face,” “Kenric,” “Luca Arnone,” “Mike,” “Jenni Walmsley,” “Sgt. Pepper” and “Geoff Nuttal.” Once again I can’t wait to came back next week to see what awaits us. 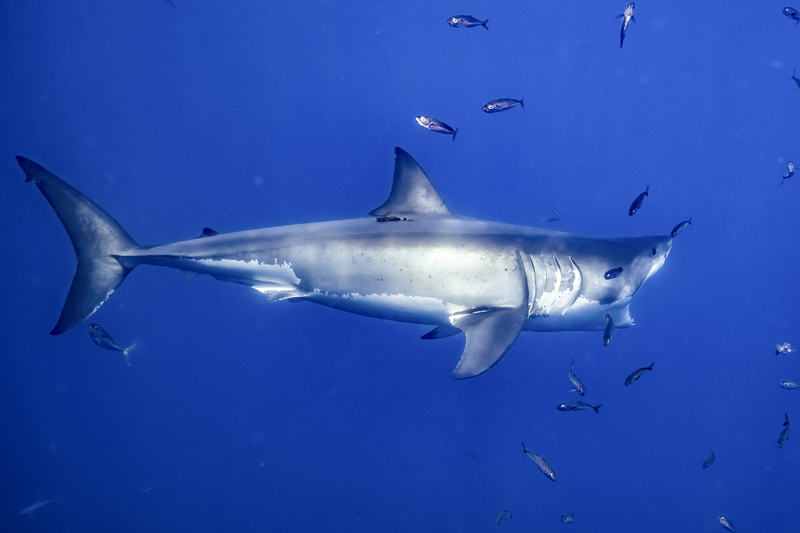 We are heading back from Guadalupe to Ensenada with our friends filled with new shark memories. We saw 12 identified great white sharks to fill up their flash drives and our new shark database! 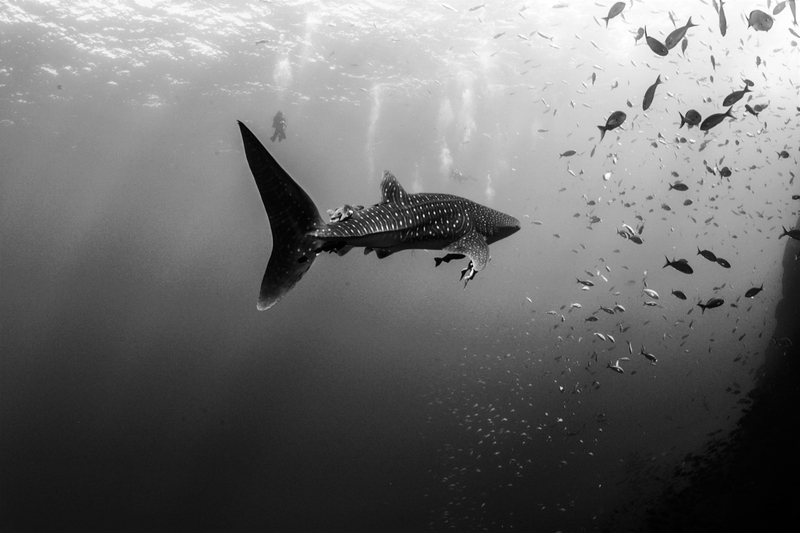 We are collecting pictures and videos from our guests and slowly building up a public database so that in the future our guests can easily identify their sharks, even in their rooms straight from their tablets or on computers connected to our network. I can’t wait to get back on the island again and meet “Joker,” “Kenric,” “Sad Face” and all the team of awesome great white sharks of Guadalupe! Join us, this season is on fire! Today we arrived at Guadalupe Island to find crystal clear water, not a cloud in the sky, and absolutely no swell. In addition to the perfect diving conditions, the shark activity was also phenomenal. Normally during the morning the white sharks are a bit sleepy and tend to stay deeper in the water as they get their days started. However, this was not the case today and before noon we had more than half a dozen different sharks. During the second dive of the day I was able to spot seven different individual sharks at the same time! Our group from Germany this week should consider themselves very fortunate and lucky to see that many sharks in just a couple of hours. Myself, the rest of the crew, and our new friends look forward to see what the rest of the trip has in store for us. 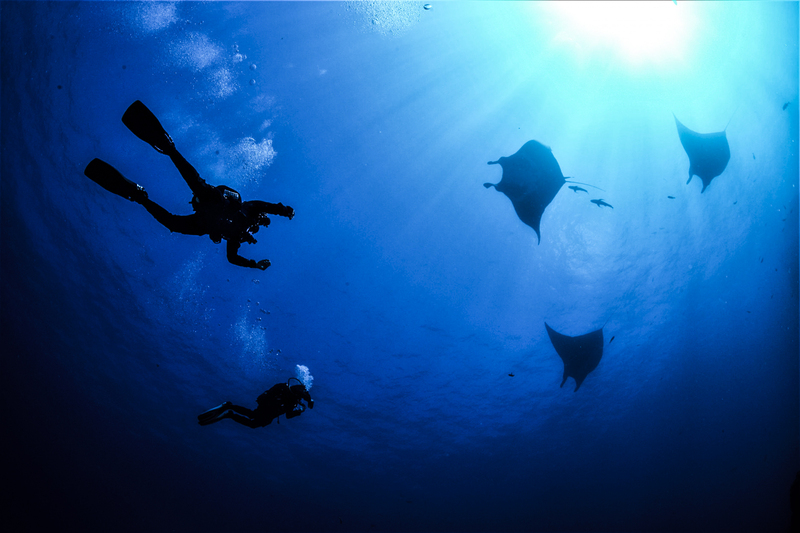 Recent blogs and dive reports from the crew onboard the Nautilus Liveaboard's vessels. An Unlucky Turtle at Guadalupe and More!